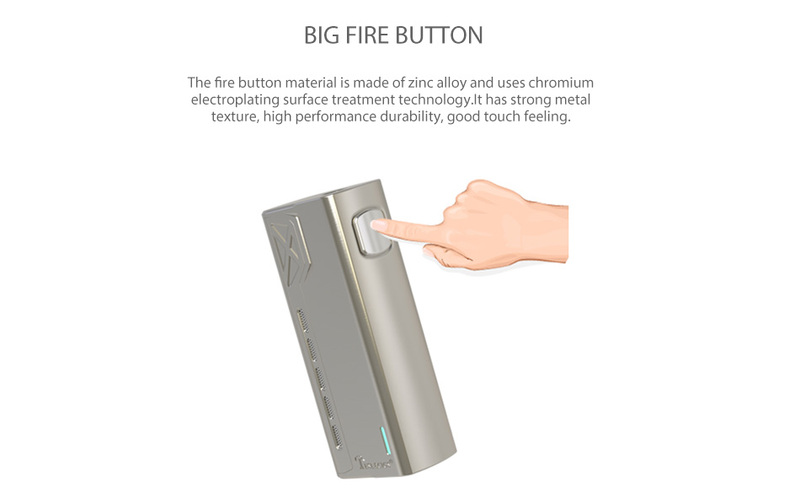 The Terminator is a high performance, cost-effective and affordable unregulated device. 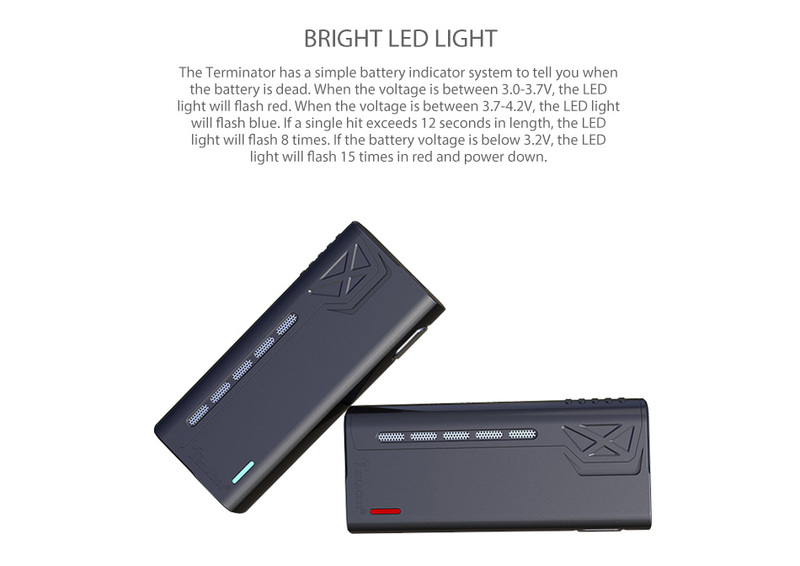 It utilizes a single 18650 battery and supports a maximum 90W output. 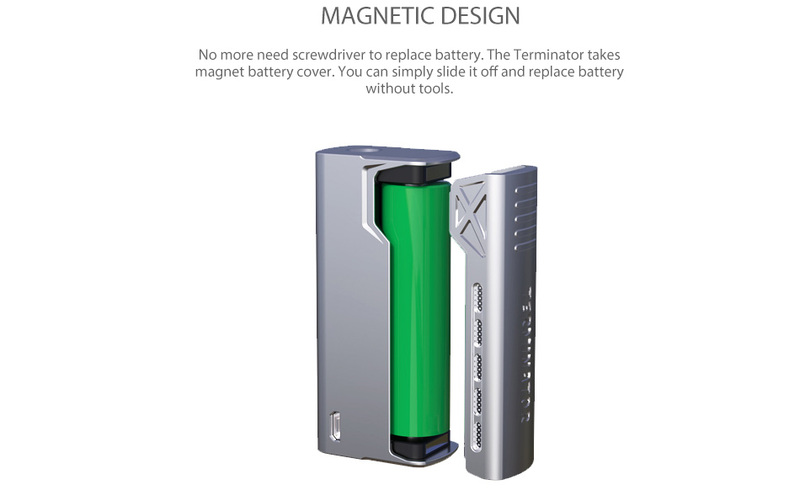 The Terminator can fire atomizers with resistance as low as 0.1ohm. 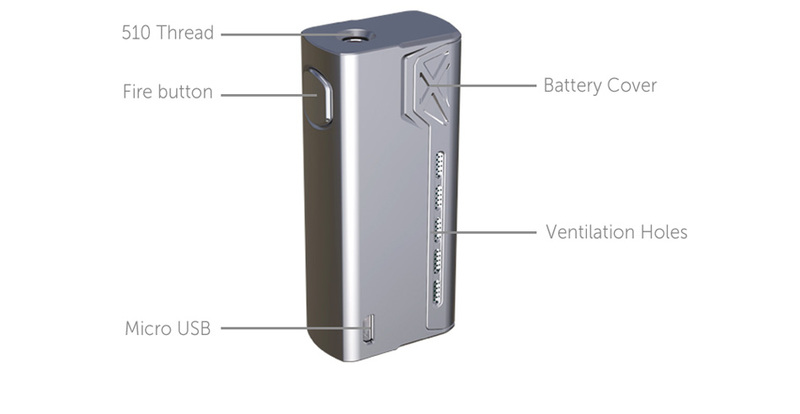 The 2A fast charging and durable baked finish are new highlights of the box mod. When packed with the Terminator sub ohm tank, the kit delivers amazing flavor and cloud production. 4 colors. It has no 18650 cell. You need buy it separately.